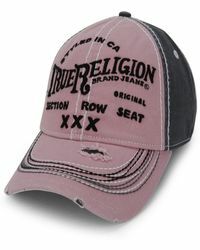 True Religion emerged in 2002 in Los Angeles, a denim brand ready to challenge the conventional ideas of the way jeans should be made and designed. Everything the brand does is bigger, bolder and better than competitors and all its looks have been designed to stand out. 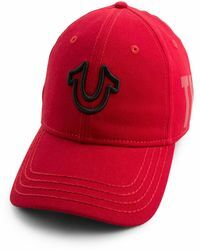 The hats range from the brand doesn't compromise comfort for style. 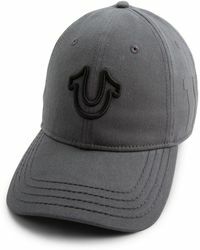 There are warm and cosy beanie style hats as well as ribbed knit watchcaps. 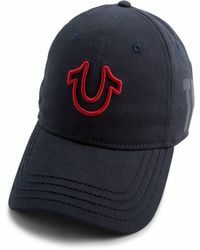 Reversible denim hats are versatile and easy-to-wear and there are also baseball caps bearing the label's branding 'ideal if you want to subtly make a statement. Showing 62 results for "Women's True Religion Hats"